Are you looking to hire a mobile crane in Melbourne? You’ve come to the right place! Skylift Crane Services have an extensive fleet of top quality mobile cranes here in Melbourne, along with a dedicated and expert team to ensure you get the best value for money. – An experienced and expert operator will save you valuable time and money by ensuring the fastest and best set up and job completion. 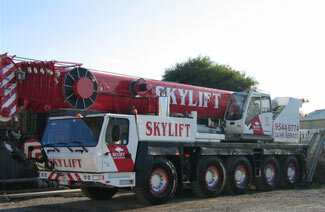 – Our expert crane hire team know cranes and they know the best crane for the job. Get it right with no hassle or delay. Check out our frequently asked questions for more, or call the team direct on 03 9544 0744 for answers about hiring a mobile crane in Melbourne. Copyright © 2019 Skylift Cranes. All Rights Reserved.